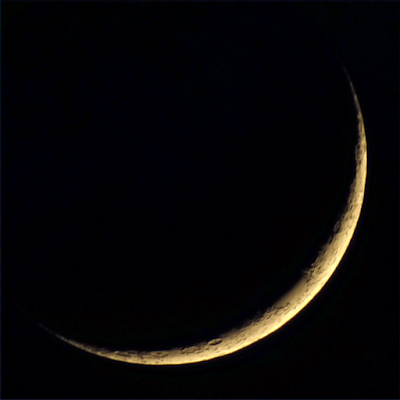 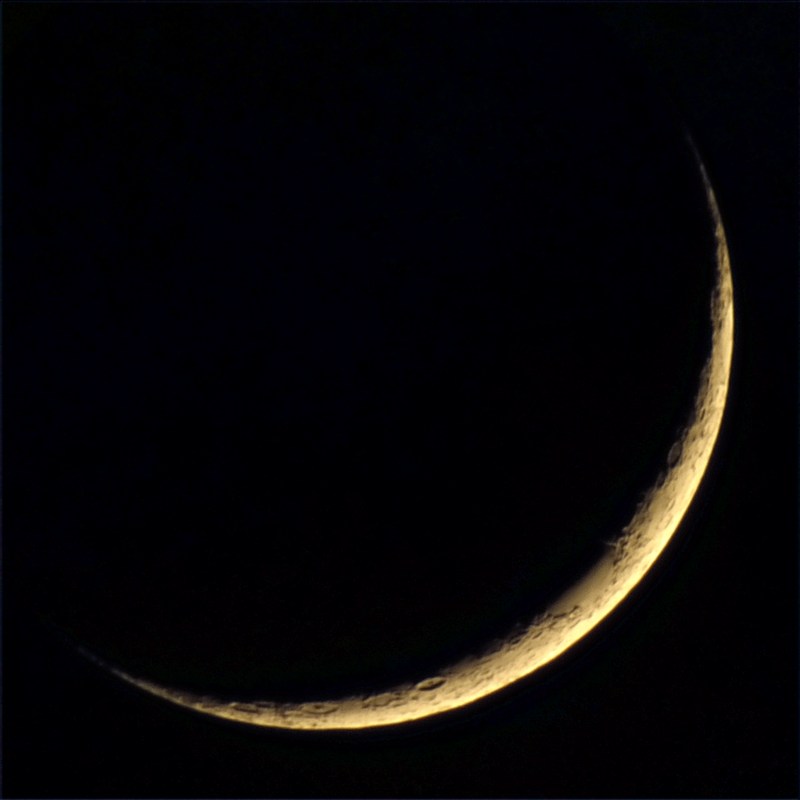 A static tripod mounted Panasonic Lumix DMC-FZ72 bridge camera was set to automatic and with a 2s time delay, to avoid camera-shake, an image was captured of the setting Moon and Venus. 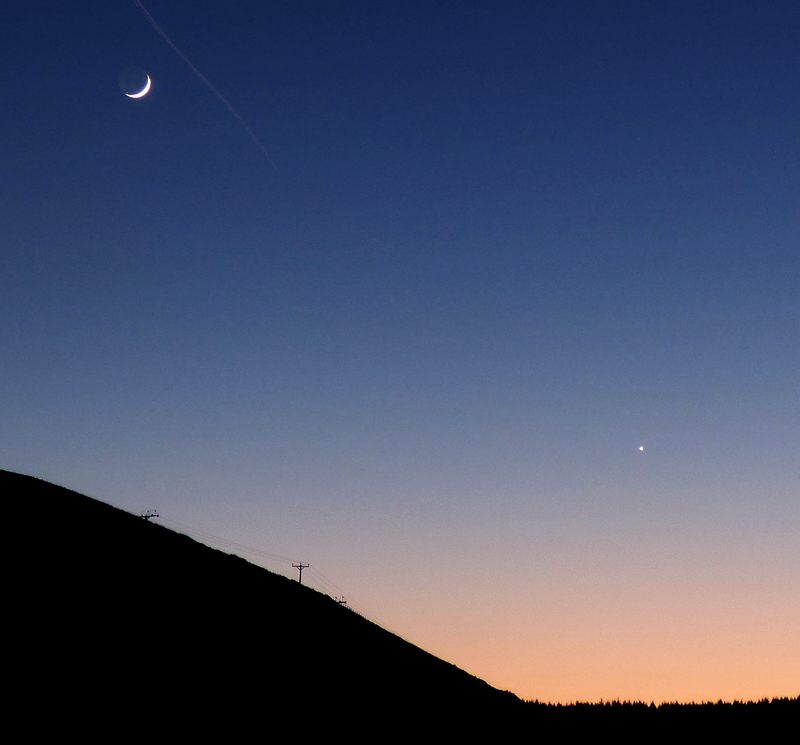 The camera was set to ISO 400, f/8 and 1/60s and 120 images were captured of the Moon in bursts of 3. 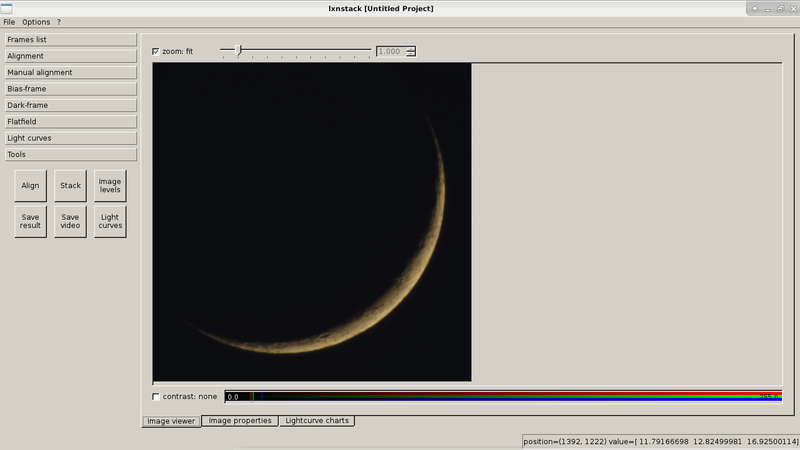 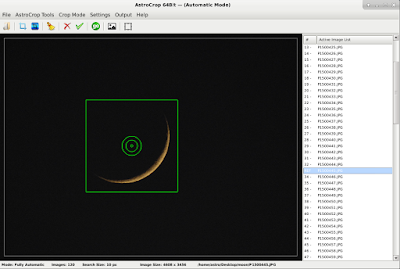 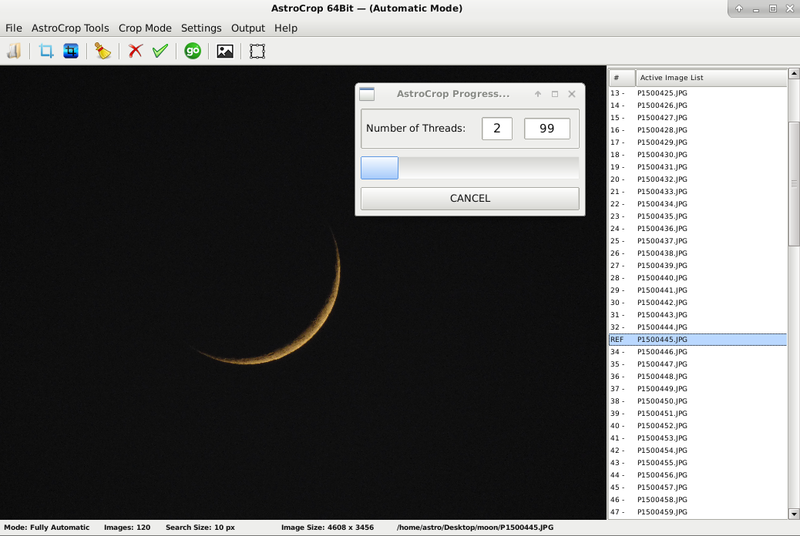 The images were precisely cropped in Nicola's AstroCrop for Linux.